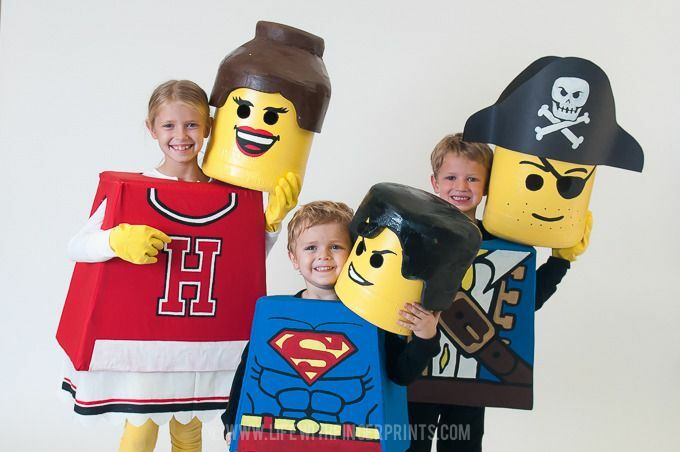 It was this time last year that I had the brilliant idea to create a family of lego costumes for Halloween. I’m great with coming up with grand ideas – the follow through on this one was pretty intense and I altered my plans a million times to simplify them. However, they will probably go down in history as my favorite Halloween costumes…ever. Fair warning – this project is not for the faint of heart – but perfect for the lego enthusiast! Like I said before – it started with an idea when I was talking to my friend. I sent her this picture shortly later from Home Depot to let her know my plan for Lego costumes was in motion. The costumes have two parts: Lego head and body. Today I’m talking about creating lego heads and they were time intensive. 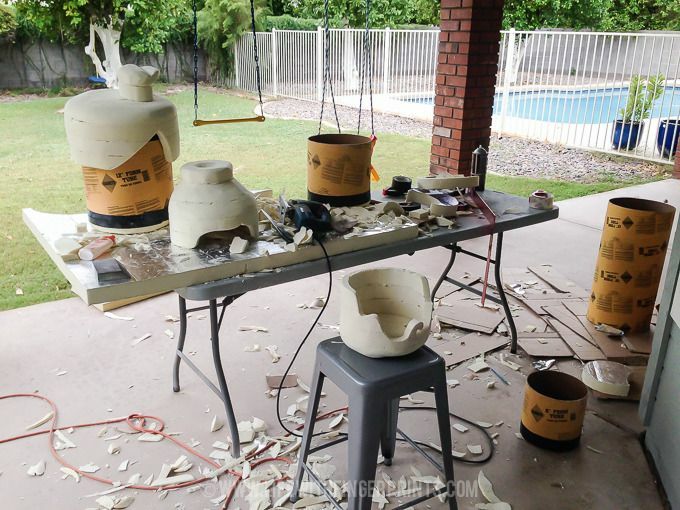 The heads were created from cylinder concrete forms. I bought three different sizes for different sized heads. Cannon and Bennett used the 8in forms. Hallie and Hunter used 10in forms and Steve and I used 12in forms. I used a jig saw to cut them to height – customized for each kid. To create the round edges I used 2in foam insulation (it comes with shine paper and the outside, I peeled it off) that I attached to the bottom with Gorilla tape and shaved and sanded the edges to make them rounded. Each person chose which lego character they wanted to be and as such I had to create hair to match their character. Hindsight is 20/20 and doing it again, I would skip the hair and make everyone have the generic knob on top like typical lego heads have. But my vision by this point was way too big and I felt the need to create hair. I layered the 2in foam and glued several pieces together. And then the carving began. Carve, shave, sand…repeat. My patio was a disaster for weeks. Every time someone came over, I had to explain the horrific mess. 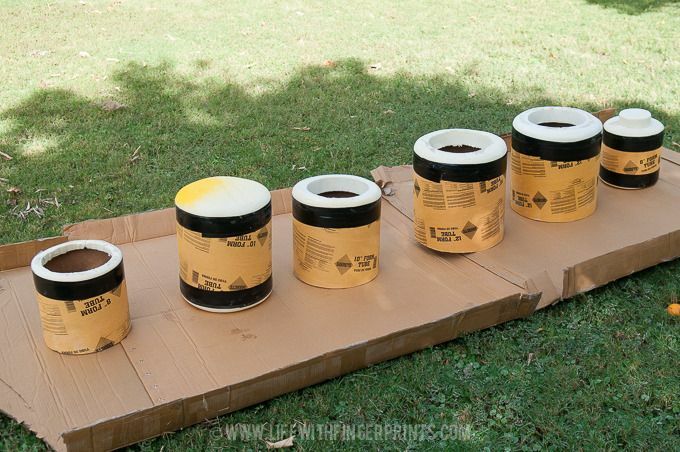 I spray painted the heads yellow and sprayed the hair as well – the easiest of all the steps. Hallie even pitched in and helped paint. Finishing the heads was a breath of fresh air. The kids loved trying them on and I loved how they turned out. 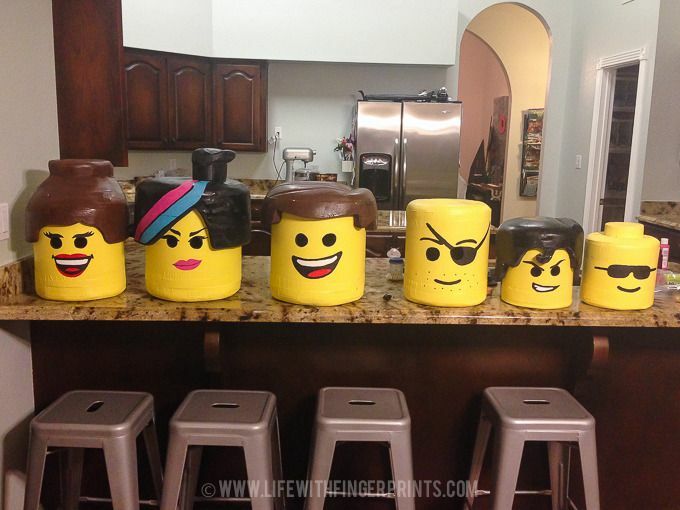 Seeing them complete gave me the motivation I needed to move on to the bodies because at this point – with all the time they had already taken – I was ready to just be lego heads for Halloween! One costume would’ve been completely manageable – a family of costumes was a bit much! You did an amazing job!! What type of spray paint did you use? 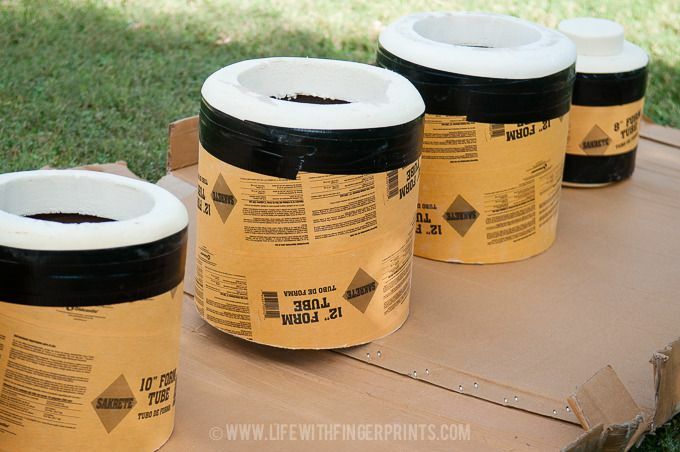 Just regular Rustoleum spray paint. That part was tricky and it was a little stressful as I started cutting. I just put the head on my kid’s shoulder and did my best to line up where his eyes would be. Some heads I did better than others! Awesome job!!! 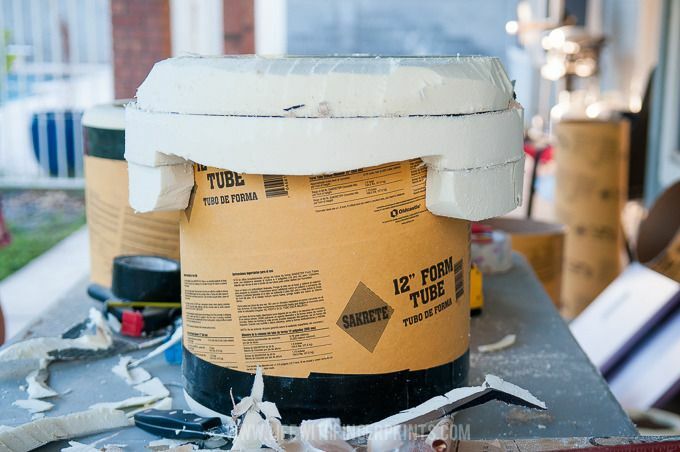 What type of glue did you use to hold the styrofoam together? Did you use the same glue to attach hair/hats to the heads? 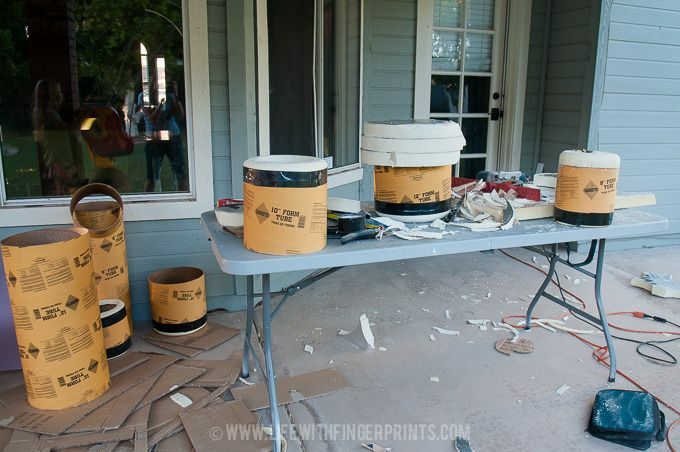 Gorilla glue – It worked like a charm! These are really cool! I made Lego Riddler for our grandson this year. I wish I would have seen your post before I made his. I used styrofoam wreaths for the head, hat, and neck. It’s hard to say – I remember spending hours working on these costumes – but then again I was creating 6 different heads and costumes. Where did you get the styrofoam to do this? 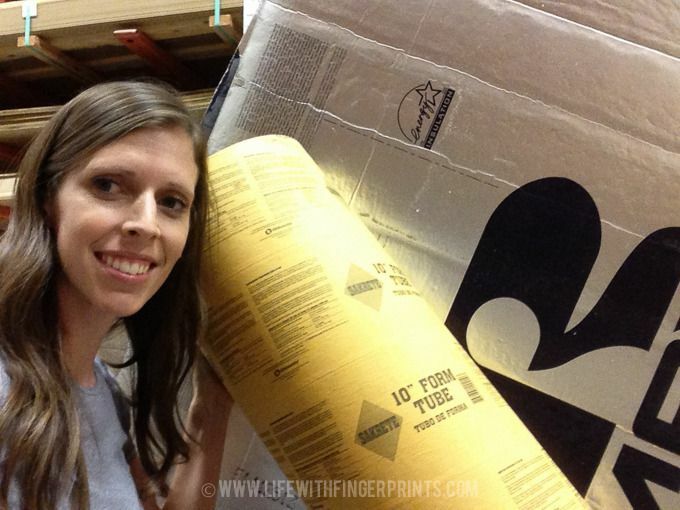 Home depot – it was two inches thick and used as insulation with a reflective surface that I peeled off. Was it easy to breathe in these heads? Surprisingly it wasn’t too bad!